Photovoltaics (PV) is a method of generating electrical power by converting solar radiation into direct current electricity using semiconductors that exhibit the photovoltaic effect, any excess electricity can then be sold back to the grid. The government not only pay you for the energy you sell back but for all of the energy you generate. The government have recently cut the Feed in Tariff (FIT) leading to the incorrect belief that Photovoltaics no longer make economical sense. We strongly disagree with this view, the payments are tax free and index linked to inflation for 20 years, still guaranteeing you an excellent return on your investment. A solar photovoltaic system can be mounted onto most types of domestic and commercial property to help power your home and significantly reduce your carbon footprint. On a new build the roof material itself can be made up of solar tiles. A typical domestic system can save over 1 tonne of C02 per year, add to the value of your property and protect you from the ever rising energy costs. 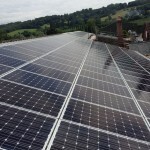 We now offer fully optimised SolarEdge systems. 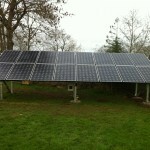 The next generation of Solar PV. Rather then your inverter reading your panels in a string it reads them all individually so that you can maximise your generation. SolarEdge HD Wave inverters can also be offered with a 20 year warranty so that you avoid any major future costs for your system. Your system can then be viewed via an app so that you can monitor your generation, usage, export and panel performance via your smart device. We also offer the Immersun – a simple but clever device, an automatic power controller that diverts surplus power to a designated load, normally a hot water heater, to save energy and minimise your utility bills. The Immersun can be installed with your PV system or retrofitted, you can also add a monitoring device to view your system on your personal dashboard online to follow your systems performance! Solar energy is the most abundant renewable energy source available. The Efficient Energy Centre is able to offer numerous solutions to help you harness it. 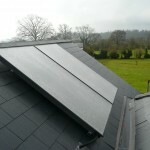 Our Solar Thermal Hot Water Systems can supply around 50 – 70% of your hot water free. Solar energy supplements your hot water requirements, reducing the amount of gas you use throughout the year – especially during the spring and summer months. The solar panels work on cloudy as well as sunny days – so you don’t need to live on the Costa del Sol to benefit from clean, renewable energy. 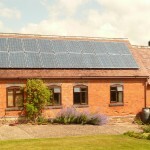 Our engineers will fit your solar system quickly and easily with minimum disruption to you and your home. It is proven technology and easy to maintain. Reduces the impact on the environment – the average domestic system reduces carbon dioxide emissions by around 400kgs a year, depending on the fuel replaced. 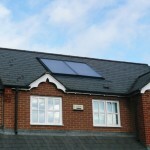 You can buy a solar system at the same time as your boiler or as a separate purchase. *Please note, we are no longer MCS Registered for Solar Thermal installations so although we can offer this solution we would not be able to help if you wish to claim any RHI payments on a Domestic Installation. 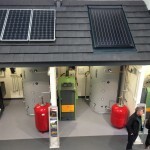 The demand for Solar Thermal has not been there the last few years and so we have made the decision not to continue out registration for this technology.